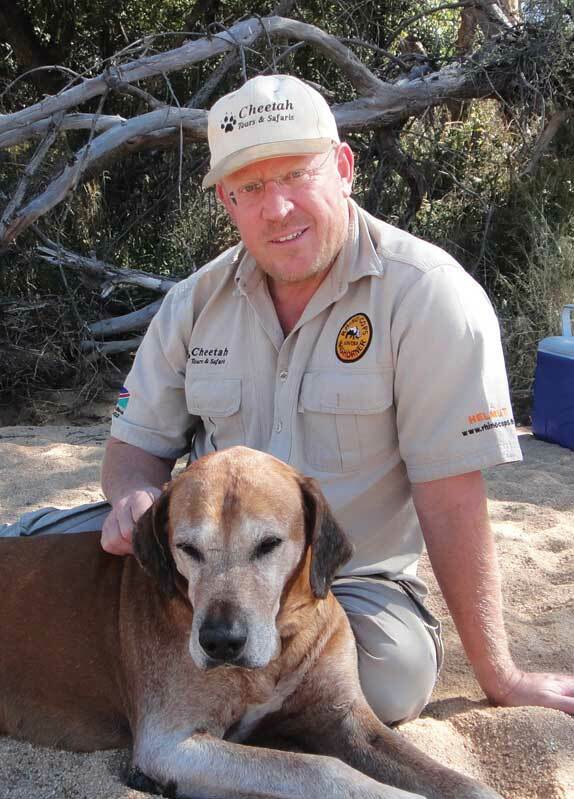 Peter is from Pack Safaris, a tour operator. His interest in photography was sparked when he was about 10 years old. At 17 he bought his first SLR. For years he used the legendary Olympus OM1 and OM2 to photograph Namibia’s wonders. Unfortunately, his set got stolen around 1995 and he changed brands, choosing a Nikon F90x. He is a big fan of the digital age. His first digital camera was a Nikon D100, which he bought in 2003. Peter admits that these days he takes a lot of photos with his iPhone 6, but he prefers to use his Nikon D4, D4S and Nikon A whenever he can. His favourite lenses are Nikon with the biggest f-stop, from 12 to 400 mm. He recommends a Zeiss F2 100 for macro photography. 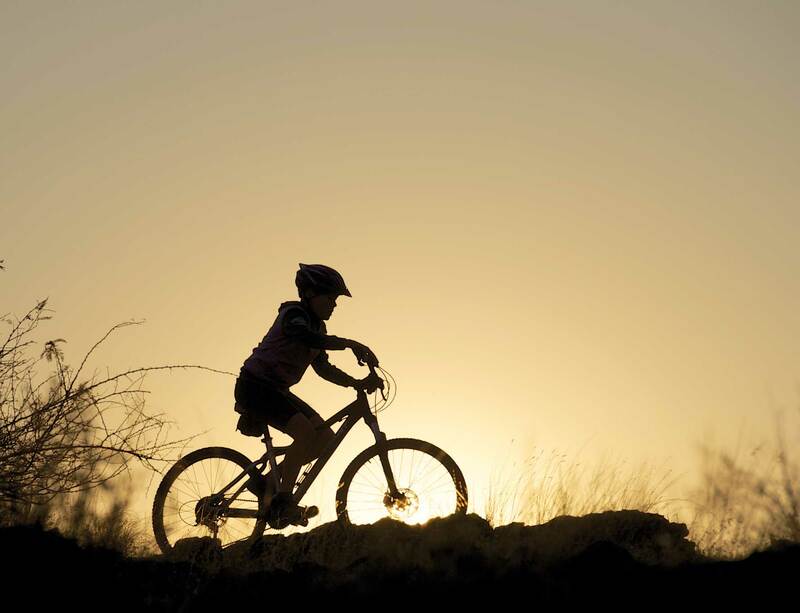 The cyclist in the photo is Peter’s son Timo, at sunrise during August last year at his favourite place, Onjala Lodge. Peter says that his family members have always been his best models and they are always available. 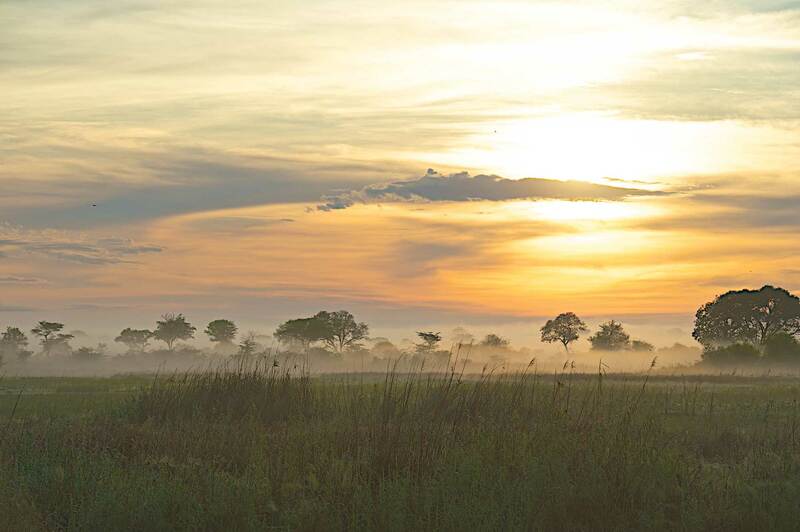 The misty landscape photo was taken at sunrise in January after some rainfall at Nambwa on the Kwando River. Mist from the river and clouds in the sky produced these beautiful colours. 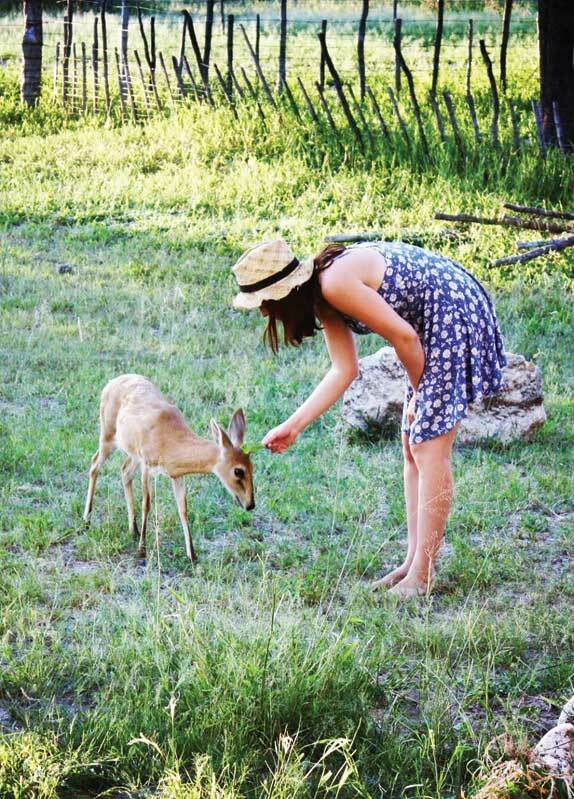 Tanja works for SWA Safaris. She was four years old when her grandparents, Uwe and Hilka Sentefol, took her on her first camping trip up north. She was captivated by her beautiful home country from an early age and received her first film camera when she was eight years old. Henceforth the camera accompanied her on all her adventures in the bush. As a young adult she believed that she had to see the world and after each trip she could not wait to have her photos developed. She recalls the excitement of waiting for the photos and the surprise of what they looked like. The photography bug truly took hold of her when she bought her first digital camera. It was a Canon EOS 450D. Today she still grabs every chance she gets to pack her bags and explore Namibia with her dogs. She still prefers to use her Canon 450D with the 70- 200 mm 2.8 IS lens. 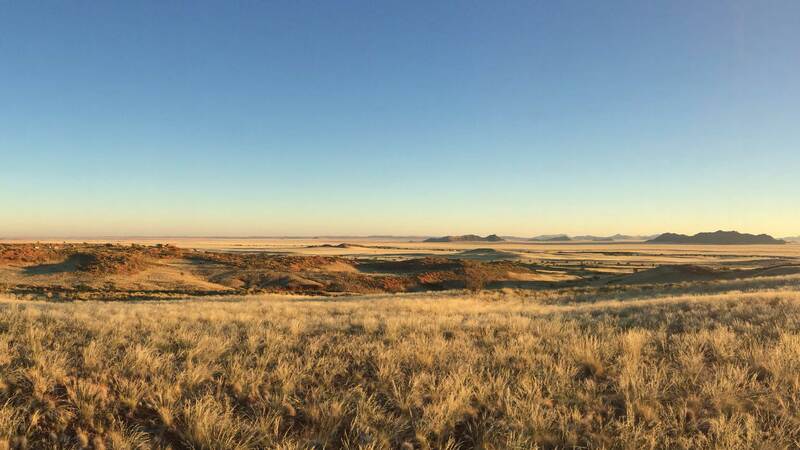 The landscape photo was taken at Namib Desert Lodge on a walk between the Dune Star cabins near the Lodge. The photo of the misty road was also taken in the Namib Desert, on the way to Vlakte Plaas. 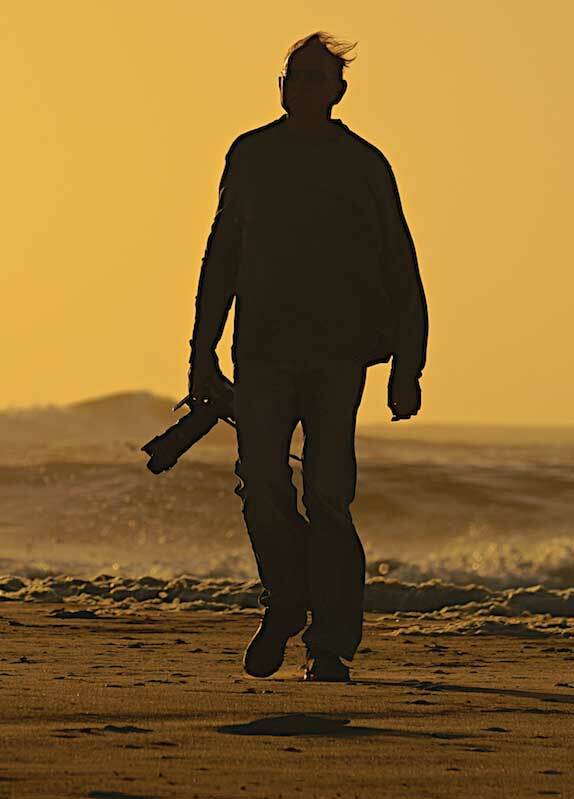 Helmut, the owner of Cheetah Tours & Safaris, discovered his passion for photography when he was a teenager and perfected this skill as a young tour guide, traversing Namibia from east to west and north to south. He has been using Nikon equipment for over 30 years. Currently he mainly uses a Nikon D750 with four AF-S Nikkor lenses (14-24 mm 2,8), (24-70 mm 2,8), (70-200 mm 2,8) and (200-500 mm 5,6). The dune photo was taken near Sossusvlei and is actually a close-up of a fairly small surface. 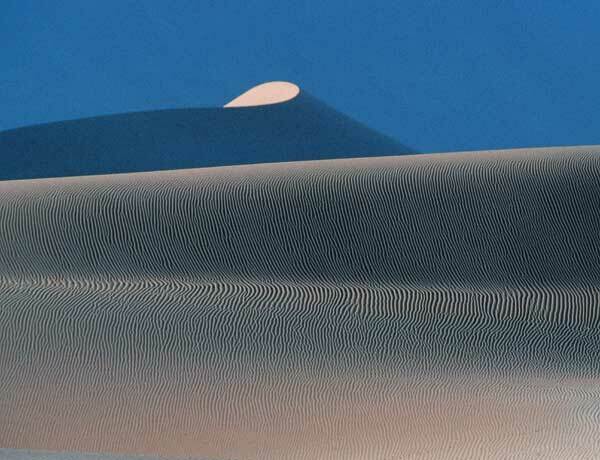 The dark background is not the sky, but the shade of a large dune. 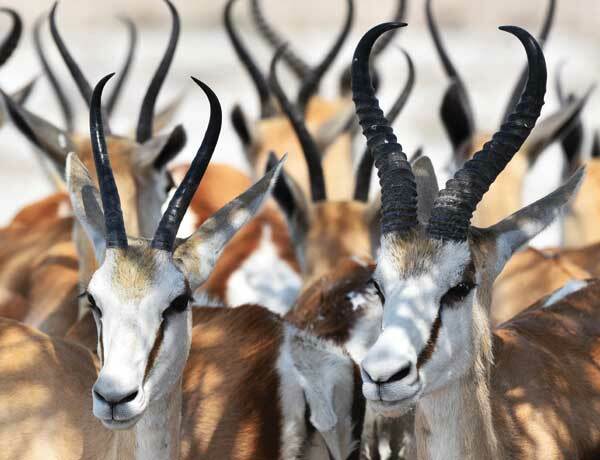 The springbok were photographed with a 500 mm lens from close proximity at noon in Etosha. Chris is the co-owner of StayToday. 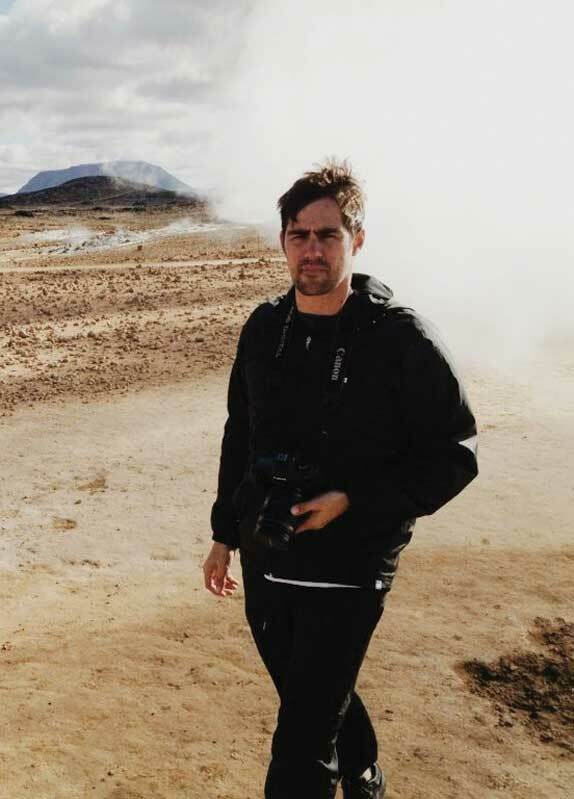 He has always been very interested in photography but only began to take the hobby seriously when he went to Europe in 2008. He spent seven years traveling all over the continent and developed a passion for taking photos. Since then, he rarely leaves the house without his camera. He prefers to use a Canon 5D Mark II (24-70 mm) lens. 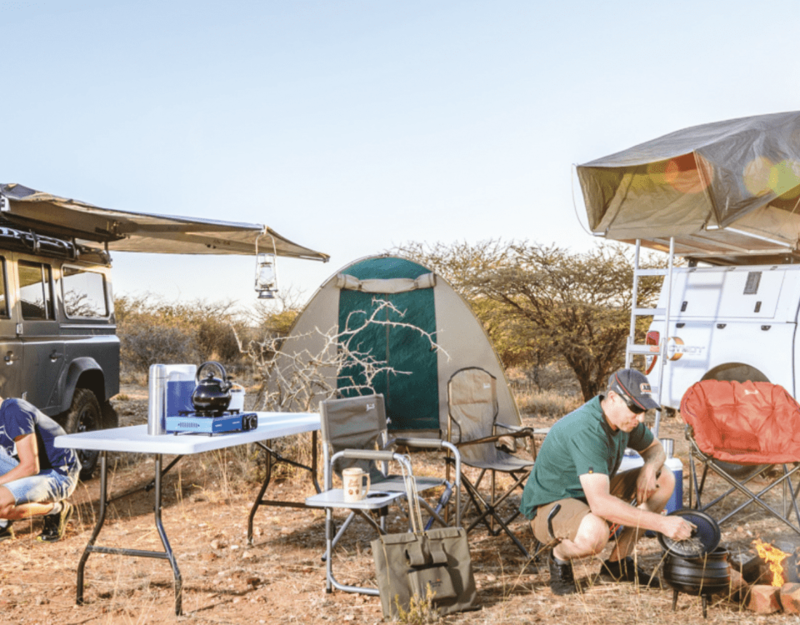 The photo featured in the opening spread of this issue’s Photography Feature was taken near Wolwedans in the NamibRand Nature reserve. It captures a moment where light and the ambience of the location came together to create a marvelous moment. 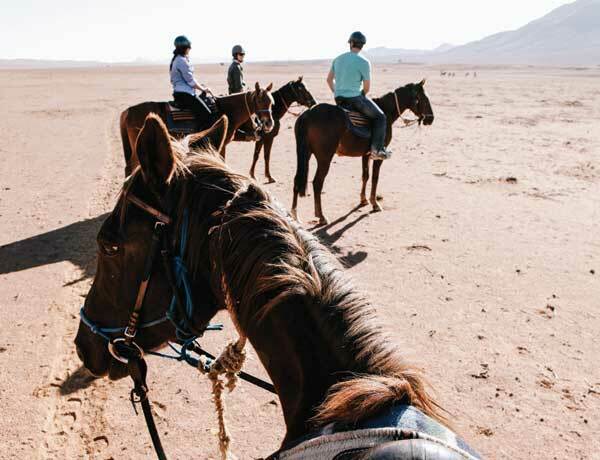 The photo in the spread on the next page was captured during a horseback safari in the same area.